Mercury Legal Assistance got it's humble start in 1987 when Richard "Mr. O" Orozco founded Mercury Paralegal Assistance. For many years, Mr. O served his community and assisted all who came to him. There were only two things that Mr. O really wanted to fulfill with Mercury Paralegal Assistance, 1) Provide people with low cost, high quality legal assistance, and 2) give people the relief that their legal dilemmas are being handled by people who care about their situation. In 1987, I, Ana Torne, was given the opportunity to work with Mr. O doing clerical duties. Shortly after working at Mercury Paralegal Services I decided to follow the footsteps of Mr. O and began my studies in the paralegal field. In 1994 I graduated from Cerritos College obtaining a Degree of Associate Certificate in Paralegal and started working as a full time Paralegal in the company. In 1999, Mr. O retired and I took over the business with a new name, “MERCURY LEGAL ASSISTANCE”. In 1999 a new law began which stated independent paralegals were mandated to register with the Los Angeles County Recorder and post a bond. 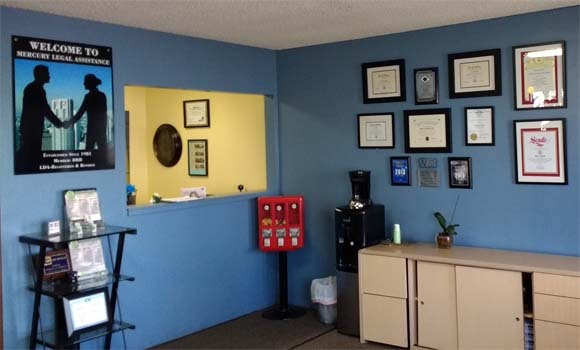 MERCURY LEGAL ASSISTANCE has complied with said regulations from 1999 to the present, and we are, and have been, fully licensed, insured, and certified to do our jobs. 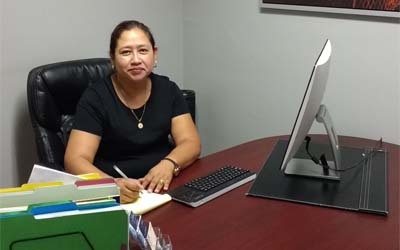 It is with great honor and dedication that MERCURY LEGAL ASSISTANCE, with the help of Mrs. Maria Hernandez (Paralegal), offer you what Mr. O always wanted to give: the highest quality legal services with over 37 years of operation and decades of experience. We welcome you to our company. WHAT CAN MERCURY LEGAL ASSISTANCE OFFER? Thank you to our community for your support and for referring us to your friends and family. I am Mrs. Ana Torne. In 1994 I obtained my certificate and diploma as "Paralegal" from "Cerritos College" in the City of Norwalk, CA. 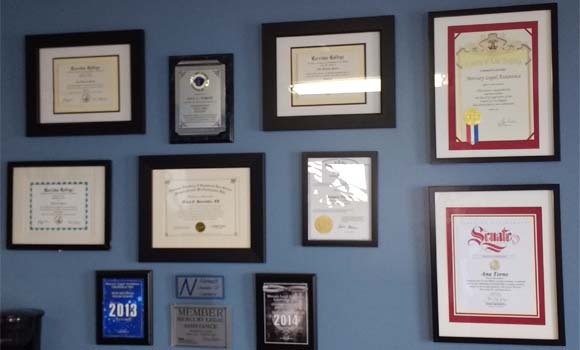 In 2013 and 2014 we were recognized by the "Norwalk Award Program" for being one of the best legal services of Paralegal / Legal Document Assistant in our city. My journey at Mercury Paralegal Services began from 1987 to the present date and thanks to my wonderful customers over the years, I feel great pride in being able to assists hundreds, if not, thousands of clients over the past 32 years. In 1990, two things happened to me: 1) I graduated from high school, and 2) I worked my first job at Mercury Paralegal Assistance. At the time, My sister, Ana Torne, had been working at Mercury Paralegal Assistance for a few years and she helped me start off as a secretary at the business. 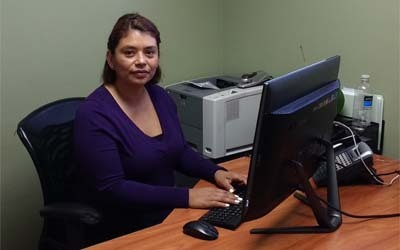 Little by Little, year by year, I started to learn more about Paralegal services, document preparation and assistance, until finally in 1998, I completed my education at Ceritos College to become a Paralegal Assistant like my sister. 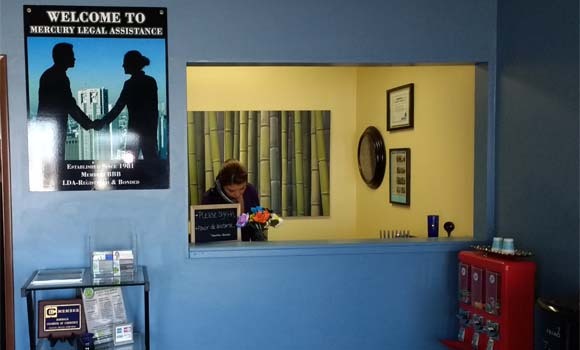 Once my sister became the owner of the business, both she and I have worked consistently to keep providing the community the most up to date, reliable, and throrough legal assistance at the highest quality and the lowest cost. In 1999 I also became a registered Paralegal at the County Recorder and in 2001 I became a certified Tax preparer. With more than hundreds upon hundreds of cummulative hours of experience and training, I hope that I can provide you with the help, knowledge, and reliability that Mercury Legal Assistance has humbly built up over the years. En 1990, me sucedieron dos cosas: 1) me gradué de la escuela secundaria y 2) trabajé en mi primer trabajo en Mercury Paralegal Assistance. En ese momento, mi hermana, Ana Torne, había estado trabajando en Mercury Paralegal Assistance durante unos años y ella me ayudó a comenzar como secretaria del negocio. Poco a poco, año tras año, comencé a aprender más sobre servicios paralegales, preparación de documentos y asistencia, hasta que finalmente en 1998, completé mi educación en Ceritos College para convertirme en asistente paralegal como mi hermana. Una vez que mi hermana se convirtió en la dueña del negocio, tanto ella como yo hemos trabajado constantemente para seguir brindando a la comunidad la asistencia legal más actualizada, confiable y completa con la más alta calidad y el menor costo. En 1999, también me registré como Paralegal en la Registradora del Condado y en 2001 obtuve la certificación de preparador de impuestos. Con más de cientos y cientos de horas acumuladas de experiencia y capacitación, espero poder brindarle la ayuda, el conocimiento y la confiabilidad que Mercury Legal Assistance ha desarrollado con humildad a lo largo de los años.